Where the developer of an apartment complex brought suit against a professional engineering firm, seeking damages allegedly resulting from the negligent design of the storm water drainage system for the complex, the court granted a partial summary judgment based on a limitation of liability (LoL) clause in the engineer’s contract. The engineer’s motion contended that its damages were limited, pursuant to the terms of the parties’ contract, to the amount of fees paid to it by its client. On appeal, the summary judgment was sustained, with the court rejecting numerous and varied arguments by the plaintiff that the LoL violated public policy and was unenforceable. This decision succinctly addresses the public policy issues and the right of parties to contract as they wish. After the apartment complex was completed in accordance with the designs and specifications of the defendant, Planners & Engineers Collaborative, the plaintiff, Lanier, observed erosion, subsidence, and pavement settling and cracking on the property. Lanier subsequently had the storm drainage system repaired and modified to increase its water capacity. Lanier sued PEC seeking damages for the alleged negligent construction of the storm water drainage system, breach of express contractual warranty, and litigation expenses. With its answer denying liability, PEC also counterclaimed for it attorneys fees in defending the litigation. PEC subsequently filed a motion for partial summary judgment, seeking to limit the damages Lanier could recover in the lawsuit to the amount of fees it paid PEC, pursuant to the parties’ agreement. The trial court concluded that the limitation of liability clause contained in the agreement was enforceable and granted PEC’s motion. The plaintiff alleged it had already spent $250,000 to repair the drainage system and anticipated expending additional sums, possibly bringing the total damage amount to over $500,000. But since the fees paid to PEC amounted to $80,514, this was the limitation of liability (LoL) that was enforced by the court pursuant to the contract. The plaintiff argued that the LoL clause violated public “because it attempts to insulate a licensed professional engineer, whose work inherently and necessarily impacts upon public safety and welfare, from the full consequences of its failure to exercise reasonable care and skill in the performance of its practice.” The court disagreed. In explaining its reasoning, the court began by reiterating the axiom that “unless prohibited by statute or public policy [,] the parties to a contract are free to contract on any terms and about any subject matter in which they have an interest.” In this case the court found no specific statute prohibiting a contractual agreement to limit damages, and therefore found no conflict between the damages limitation clause and the public policy of the state. One of the principal cases relied upon by the plaintiff was a decision in Emory University v. Porubiansky holding that an exculpatory clause contained in a contract for services between a patient and a dental clinic was void as against public policy. In that case, however, the patient’s release was as to all claims and damages of any kind and amount. In contrast, the court found significant that in the instant case the contract provision at issue did not release PEC from liability for Lanier’s claims but “simply limited Lanier’s damages to the amount of fees paid under the contract.” For this reason, the court concluded that the Porubiansky holding cited by the plaintiff was inapplicable. In rejecting this argument, the court found that the damages limitation clause in the instant case does not exculpate PEC from any wrongful conduct or release them from liability, but “ merely limits the amount of damages Lanier may recover from PEC.” For this reason, the court held that the clause did not violate the statute. Finally, in this author’s opinion, going beyond the kitchen sink and into the slop basin, the plaintiff argued that the limitation of liability clause in the parties’ contract constitutes a liquidated damages penalty prohibited by Georgia law. It took the court only a few short paragraphs to punch holes through this argument. As stated by the court, the contention was without merit because “the parties did not agree to a fixed measure of damages. Instead, they agreed to a limit on the amount of damages Lanier could recover from PEC. Though they will be capped, the amount of damages, if any, will have to be determined by a trier of fact. Thus, the contract term is not an unenforceable penalty and Lanier’s argument on this basis fails.” For these reasons, the summary judgment was affirmed by the court in Lanier at McEver, L.P. v. Planners & Engineers Collaborative, Inc., 646 S.E. 2d 505 (2007). Comment: As this case explains in just a few short pages, limitation of liability (LoL) clauses are not disfavored by courts. Courts in most jurisdictions honor the intent of a contract. An LoL clause is not a pure exculpatory clause relieving a party of any and all liability. It merely places a cap on the extent of the liability. 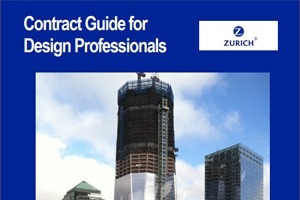 Design professionals and other professional services consultants have long used these provisions in their contracts. The small fee or profit margin that a consultant receives for its services on a project does not justify opening itself up to unlimited liability. For example, it would seem unrealistic for firms that perform environmental site assessments (ESA’s) and property condition assessments (PCAs) for just a few thousand dollars each (with a profit of only a few hundred dollars) to perform their services without limiting their liability – especially in our increasingly litigious society in which their clients seem to have a propensity for filing multi-million suits against them. In recent litigation in the state of Maryland, I defended a firm that was sued for alleged negligent performance of an ESA and PCA. The plaintiff also included counts based on allegations of fraud and negligent misrepresentation. Based on an LoL clause that limited liability to $50,000 or fee (whichever was higher), we moved for partial summary judgment on the breach of contract count and on the negligence counts. This was granted by the court. This was done prior to incurring the expense of taking depositions. The court also dismissed the fraud and negligent misrepresentation counts based on a lack of pleading sufficient facts to support those counts of the complaint. After obtaining this partial summary judgment we filed an answer to the balance of the complaint remaining and, similar to case discussed in this case note, we countersued the plaintiff for attorneys fees. Since we were unable to obtain a reasonable settlement offer after the partial summary judgment, we had to proceed with depositions. After these were completed, we moved the court for total summary judgment to dismiss the plaintiff’s case. Before the court decided that motion, the parties agreed (with little settlement money changing hands) to dismiss the complaint and counter-claim. What is most frustrating, however, is the amount of time and expense required to go through the legal process to obtain the result. In a future issue of this Construction Risk.com Report, look for an article that I am considering writing on the subject of the possibility of filing defamation actions against plaintiffs for making unsubstantiated allegations of fraud against design firms. With plaintiffs increasingly reaching beyond the kitchen sink to allege fraud against consultants, it may be reasonable and appropriate to pursuing defamation actions against those who file fraud allegations, when the true action is based merely on breach of contract or negligence. About the author: Kent Holland is a construction lawyer located in Tysons Corner, Virginia, with a national practice (formerly with Wickwire Gavin, P.C. and now with Construction Risk Counsel, PLLC) representing design professionals, contractors and project owners. He is founder and president of a consulting firm, ConstructionRisk, LLC, providing consulting services to owners, design professionals, contractors and attorneys on construction projects – including assistance with contract drafting, review and negotiation; change order and claims analysis (preparation or defense); risk management advice concerning insurance coverage – including assistance with negotiating and drafting the terms and conditions of policies and endorsements, advice to insurance underwriters; guidance to those procuring insurance; change order and claim preparation, analysis and defense; contract preparation; contract review and contract negotiation. Mr. Holland is publisher of ConstructionRisk.com Report and may be reached at Kent@ConstructionRisk.com or by calling 703-623-1932. This article is published in ConstructionRisk.com Report, Vol. 9, No. 7.